Those with a lust good deals will be glad to know that V has come to Playstation Plus. 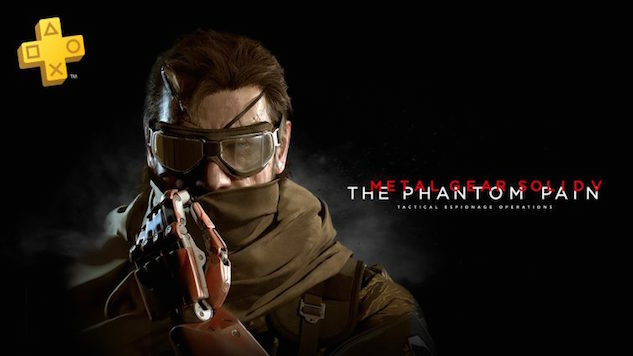 On the Playstation Blog, Sony confirmed that Hideo Kojima’s Metal Gear Solid V: The Phantom Pain will be one of the free PS Plus games for the month of October. Also included for Playstation 4 will be a collection of both Amnesia games, The Dark Descent and A Machine for Pigs. For those of you still on the Playstation 3, you can enjoy Monster Jam Battlegrounds and Hustle Kings, and on the Vita side are Hue and Sky Force Anniversary, both with cross-buy options. Additionally, Sony mentions that their Jackbox Party-esque title That’s You! will only be free on Playstation Plus until Oct. 24, so download it while you still can (or even want to). Unlike the Jackbox games, which utilize a website for players to use, That’s You! requires a phone app to download. These games will be free for Playstation Plus subscribers from Oct. 5 to Nov. 2. Check out our positive review of Metal Gear Solid V right here.